Human resource management has unique sets of challenges when it comes to industrial sector. Workforce management can range in variety and functionality, for industrial sector HR must be a HERO in all departments, including recruiting, on-boarding, training, performance management, mediation, legal compliance, compensation management, training, rewards and appreciation. To top it, it must be engaging and inclusive of all tiers at an organization to build a hierarchy, that works like a well-oiled machine. The tools of automation can save number of precious hours and days that go into building appropriate reporting format. All industries have a potential to grow fast and to keep up with a fast influx of new recruits, it needs an HR mechanism that has the capacity to grow as the company grows, in fact play an integral role in this regard. For industrial workers the main burden lies on the shoulders of the HR teams and specific HR Personnel, rather than the workers to regulate and update things regularly, hence a strong software makes the very basics of such mechanisms, that can deliver effective results. The workers in these scenarios rely on accurate shift planners, PTO modules and perfected time-tracking software, so that they can work without a glitch and responsible supervisors along with the higher-ups are notified about the lack of worker’s discipline about time management and tardiness as early as possible. The software that can tackle a large workforce, needs the best reporting and time-tracking capabilities, so that there are no jumble-ups that could be both costly and dangerous for certain industries. Any un-notified absence adds of to loss of work and precious time, that can affect time sensitive daily production units, that work under deadlines and must deliver swiftly. The extensive business intelligence and reporting formats can help industry with predicting their hiring trends, so that they can have advanced planning regarding such issues, as they arise. Due to periodic spike in productions, the hiring must be designed in accordance, so that the managers could take that burden off their shoulders and dedicate that time into managing the actual workforce, that requires immediate and constant attention at all costs. HR for the industrial sector is tricky and if appropriate measures are not taken from the very beginning, it can take a toll on company’s growth and finances. In a perfect scenario, the hiring for industrial sector is mostly related to search for skilled workers because there is widespread perception that, these jobs are mostly low salaried, dangerous, stressful and require a specific skill set and related certifications. The actual reason behind such a thought process is that, there are certain number of challenges that are mostly safety and compensation related. These companies need to have reserve employees even when they are not working and need to have them on file in case, they might need them. The most important thing of all, is an abundantly efficient ATS with a job board that is integrated with social media sites so that the organization can reach out to the appropriate talent in time, which in turn would also reflect how attractive the business looks and what benefits would an employee get working at that company. It is not limited to that, to gain talented employees, the companies must go a step ahead and look more competitive, when it comes to offering attractive salary packages and benefits to their workers. Like most industrial sector companies, safety is of utmost importance. A safe and secure work environment can ensure that there are no elaborate medical bills, inflated worker’s compensation costs and lawsuits incase of injuries. These measures can be taken when a responsible and well-trained supervisor or a security specialist has been hired to monitor day to day activities and that dedicated person values your company enough to understand the critical nature of his/her job. This can be enhanced and improved by proper training of the concerned employees, to keep them updated with the set of rules and regulations, along with appropriate standard safety instruction manuals, that are always handy and available. The mangers and supervisors are well informed to have all emergency protocols in place through a guided mechanism to stay focused on events that can happen at the workplace and to act immediately in light of any injuries. Industrial sectors rely heavily on cutting costs wherever they can, as the cost of manufacturing or building something already require strong financials with budgets, that have no space and elasticity for rising compensation costs and can hinder the growth at any organization. One of the most important steps in this regard is ensuring the quick return of injured employees, to avoid unnecessary costs that might burden an already disturbed schedule of any project at hand. It is also imperative to understand, that employee turnover can be a huge impending negative effect over the company’s finances and hence, employee engagement can bring a sense of belonging to the employees, that is much needed in the fast-paced work environments these days. The connected and well-informed teams perform well under pressure and get a chance to communicate with their higher-ups, reducing the gap between different levels in the organization. As the employees stay engaged, their chances of being happy with their current jobs increase and so the turnover is reduced, when they stick to their positions for long, avoiding precious time spent on training new staff and trying to get them to work on the same pace as the company. Small gestures of appreciation can go a long way and the mechanism of rewards and recognition also ensure they constantly advance and boost their skills to move to higher tiers, within the organization. Offering competitive wages and salary packages to your workers can ensure long term well being and loyalty, sidestepping any grievances that might lead to losing them to rival companies. Having said that, manufacturing industry is labor concentrated and requires an HR focused approach. A robust and all-inclusive HR like WebHR can increase the globalization of any industry. The above-mentioned measures in the article are everything, that a modern paced company like WebHR handles very effectively and hence, it caters to the ever-growing economies and their industrial sector round the globe. WebHR’s global presence sets it apart from the rest as it is uniquely present in 197 countries and has a vast audience with universal approach. The industrial sector is ripe for the big change that is taking over the rest of the world, the modern age SaaS companies are replacing the ancient ways of handling human resources, with their more connected and employee focused strategies. The research teams at WebHR are building advanced tools using their AI capabilities to assist the industrial sector in tackling their most concerning problems, one of them being the physical wellness of their employees, in harsh weather conditions with outdoor tasks and temperature related issues at the manufacturing or refining plants. As we have seen in the middle east, the body temperatures of the workers may rise and at times cost them their lives in scathingly hot weather conditions. In this scenario, WebHR intends on building wearable devices that can easily talk to the WebHR app and notify the supervisors or people in charge for safety precautions to take immediate actions necessary to prevent any mishap. The instant rise in the body temperatures in these areas, is a matter of huge concern for these companies and ensuring the health of the workers is challenging. Other than that, the colder countries like Canada can have workers suffering because of the extremely low temperatures, causing hypothermia and frost bite. For manufacturing units and refining plants, where workers might have to be present in close proximity to the boilers, it can have the same effects and it is very important for the supervisors and people in charge of the safety of the workers to be notified timely, if any of them is having such symptoms that might need immediate medical attention. The research team at WebHR wants to innovate and maximize the use of the software, so that the industrial sector could benefit from it and automate their workflow. The advances in that direction are designed to make the work flows smooth and workable, so that the managers can handle large number of workers without glitches. 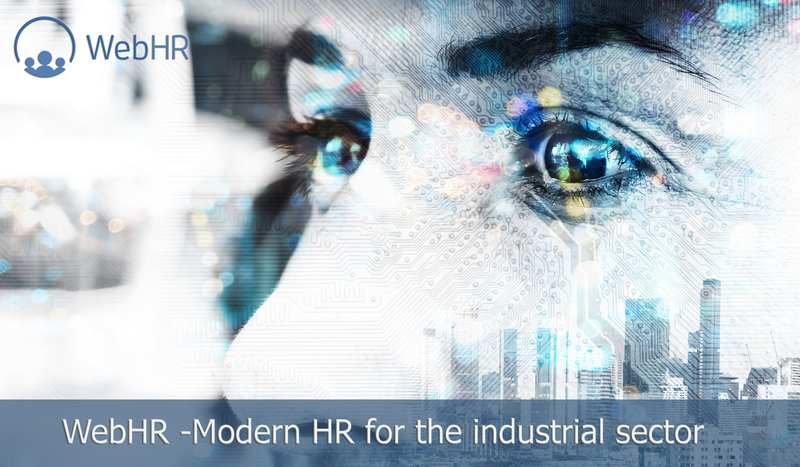 The future of HR for the industrial workers, is moving at a fast pace and the new generation of software are making huge leaps to fill in the demand gaps. It is time for innovation to re-vamp this sector and upgrade it according modern technology.